The BOLT mission is to travel the world and to inspire others to travel. We have sold or given away almost all we own and our living our dream: fearless and serendipitous travel. By necessity it is also travel on a budget. 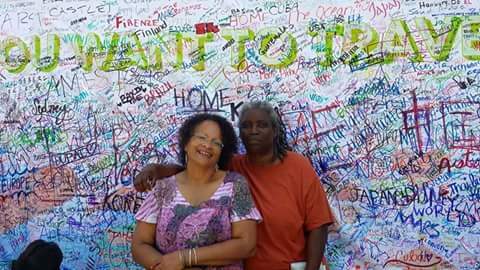 We are Black Old Lesbians Traveling but we welcome all to share in our journeys. I absolutely love this! We are currently downsizing and was even looking into a tiny home to save on not having to pay rent. You’re a beautiful couple I can’t wait to see where your adventures take you next! Yea. I think downsizing is the first step toward building any life you dream. Our things can kinda lock us in place and keep us from moving forward. Where ever that may be . Thank you for reading and sharing. WOW, just wow… Your explorations look amazing, I’m in awe of all your adventures. My wife and I are in the process of beginning our journey as we downsize, sell our business and prepare for purchase of our rig. What good advice could you give us as first timers ? My wife and I were just talking about starting something similar. Although we are not retired, we love to travel. I love the idea of traveling on a budget in retirement. We’ve actually thought of living abroad in retirement. Keep considering it. There are several real reasons to retire abroad. Money is definitely one. I like to say we increased our retirement money 3 fold just by moving to Southeast Asia. More on this in upcoming posts. Thanks for reading and sharing. Be well. I was in Chiang Mai recently but just now learned about you. Great photos and great blog! Thank you for sharing. Wow! Sorry we missed you. Just checked out your blog and it is truly great. Thanks for the encouragement. Thank you! I don’t blog as often as I think I should, but I do enjoy writing about the places I’ve been. You both are an inspiration :-). Then we have synergistic admiration, as you inspire us too. Let’s all plan to blog more often and maybe meet sometime. Be well and thanks again. Let me first say that this has been one of the MOST inspirational blogs that I have come across! Thank You for sharing. Second, I’m in the process of downsizing (almost everything) to transition “elsewhere” and I keep pausing and reflecting. A part of me is kind of sad but, I am also very excited. It’s time. Finally, after reading your article and the comments I have been energized and motivated again to continue “making room” for this next chapter in my life. Sadness is part of the process. When we decided it was “time”, we didn’t hate our lives as they were..in fact we were quite happy. But this life of travel was our dream and our plan. Then one day the time came to make concrete, seemingly irreversible moves towards our dream. It was sad for both of us. But it was also fun and exciting. And it turns out the moves although drastic (we have no home to return to) are not as final as we thought at the time. Move in the direction of your dreams. Feel your sadness and your elation. Know that the Universe is on your side. You can do this. And when you do you will be a bright light of shining inspiration. I truly believe that when we take care of ourselves, love ourselves and follow our soul path, we give others permission to do the same and we leave a trail towards happiness. Thank you for your generous words and compliments. Thank you for reading and sharing. Thank you for leaving a light that illuminates another way to do life. We are all better for your efforts. If we can assist you please contact us. We are the realized dreams of our ancestors. Be well. We are very familiar with Lesbian Connection and have loved you for years. We would be most honored to be included in any way you like. Thank you! Ha ha! This just gave me life. I planned on doing the same thing but solo. I put everything I didn’t sell into storage in May but it’s now August . I found an apartment in Chaing Mai already. Decide to leave last month of October, stay 3 months do via run then return. Glad to see someone else over 50 doing this. I’m 53 and want to travel slowly 3/4 months in each location. Happy and safe travels to you! It is around the second or third week of November. 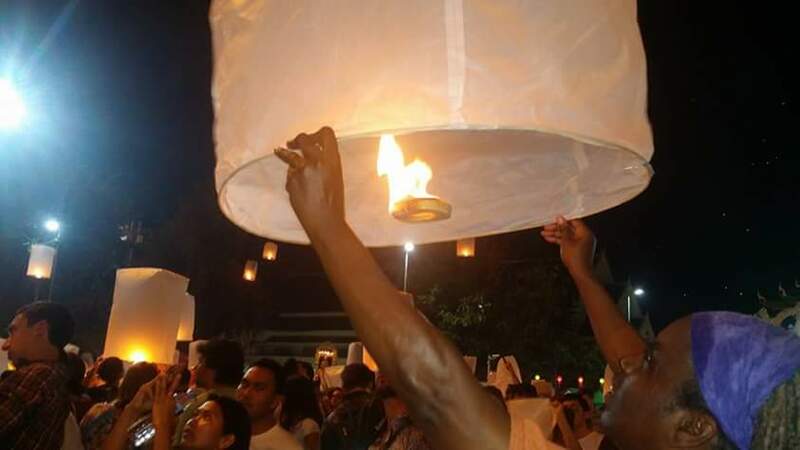 It is when the sky fills with Kom Loi or Sky Lanterns. It was a great highlight of our first trip to Chiang Mai. You will be quite comfortable here. We of the older set are plentiful here. Be well. Please drop us a line to let us know how you are getting along. Need any suggestions just ask. Hello please keep me advised of upcoming traveling plans. Im so excited that I found your site. Im also interested in any social gatherings. Wow! Thank you. We would be happy to write something. We have not travelled to New Zealand yet. We are on our way home to the US. We will be traveling the country in an RV visiting the National parks for a year or so before returning to international travel. Running over to read your guidelines. Thanks again. Be well. Hi Marci, you two are amazing! You’re so blessed to have planned your lives for this. I want to know more about Thailand and have a few questions, so when you have time please email me. Thanks!